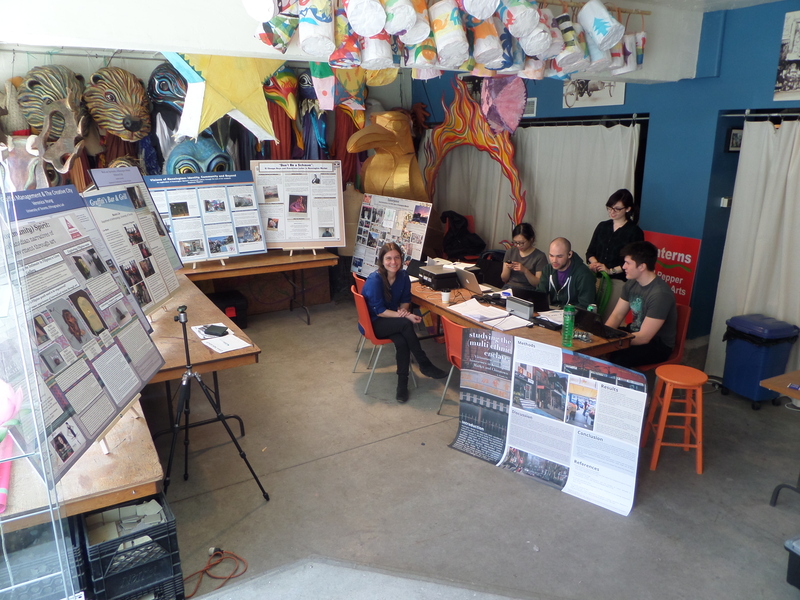 Students from the ANT477: Ethnographic Practicum: Metropolis course in the Department of Anthropology at the University of Toronto created research posters to showcase some of the ethnographic work they had done in Kensington Market from January to April 2015. The posters were put on display for the community on April 26th, 2015, during a reception that was held at Red Pepper on 160 Baldwin Street. 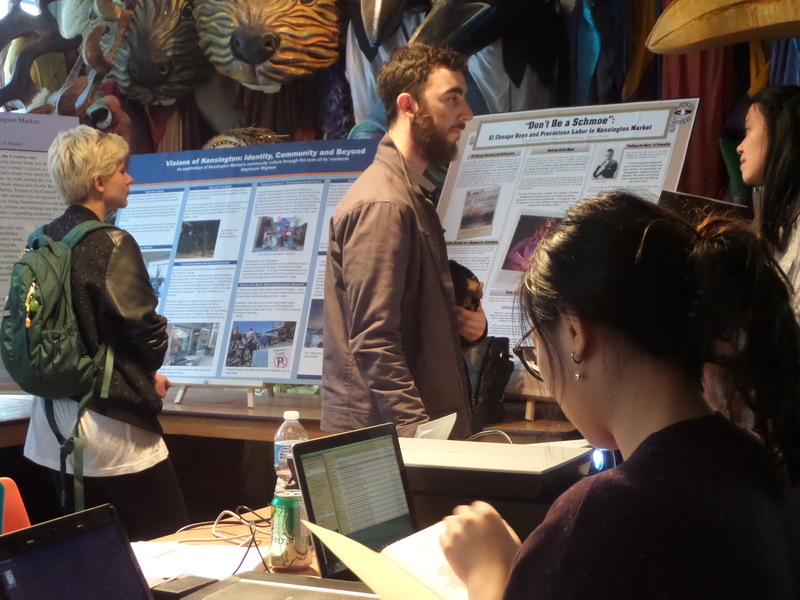 Residents and visitors stop in to read about student research on the market. 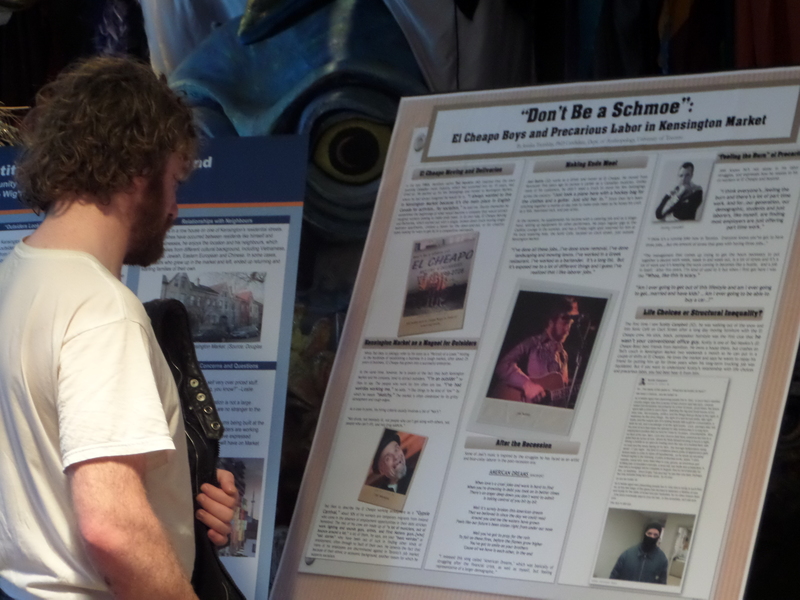 A Kensington Market resident reads a poster in which he is featured.